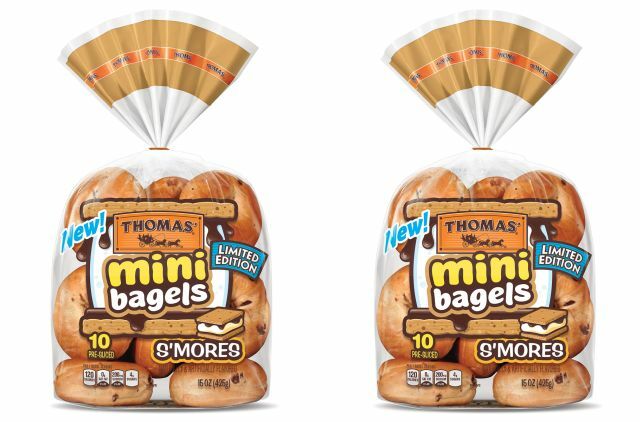 Summer being prime s'mores season, Thomas' brings back S'mores Mini Bagels for a limited time. 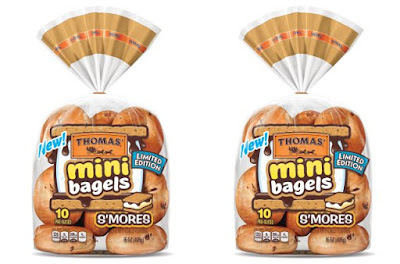 The snack-sized chewy bagels feature the taste of marshmallow, graham crackers, and milk chocolate. You can find them in bags of 10 for a suggested price of $3.99. They're available through early September. The brand also offers Maple French Toast English Muffins and Banana Chocolatey Chip Bagels for a limited time through September 9, 2018.